CarGurus has 2,482 nationwide Pacifica Hybrid listings starting at $26,950. As a stylish 7-seater with sliding doors and a modern exterior, the 2017 Chrysler Pacifica quickly earned a reputation as a go-to family hauler. 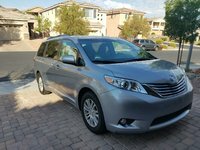 Now, a plug-in hybrid version, the Pacifica Hybrid, is hitting dealer lots as the first-ever hybrid minivan sold in the U.S. The 2017 Pacifica Hybrid is not just a trim level of the standard Pacifica but its own standalone model, powered by an upgraded 3.6-liter Pentastar engine paired with a 16-kilowatt-hour lithium-ion battery. The eFlite transmission consists of 2 electric motors: one turns the front wheels, while the other charges the batteries and assists with heavy acceleration. The Pacifica Hybrid boasts a 33-mile electric-only range, a fuel-economy rating of 84 MPGe, and a 566-mile total range between fill-ups. While the non-hybrid Pacifica starts at $28,595, the cheapest Pacifica Hybrid costs $41,995. While that might seem expensive, it’s not a bad value—after a $7,500 federal tax credit, the price drops to $35,590 (including the destination charge). The Pacifica Hybrid comes exclusively in the top-level Premium and Platinum trims, where upscale touches like leather upholstery come standard. If you’re considering the Pacifica Touring L Plus, it’s worth checking out the Hybrid. In fact, the only options from the non-hybrid Pacifica that aren’t available are a built-in Stow ’N’ Vac vacuum cleaner (available only on the Limited trim), 8-passenger seating, a trailer/tow group, and second-row Stow ’N’ Go seats. The popular Stow ’N’ Go storage system—in which the seats fold flat into the floor—is still available for the third row. The second-row seats, however, sit directly above the hybrid battery and must be manually removed, although they do tilt forward for easy exit. With a starting price of $41,995, the Pacifica Hybrid Premium is immediately identifiable as a high-level trim. The exterior features standard fog lights, halogen quad headlights, chrome brightwork, power heated mirrors, and 5-spoke 17-inch wheels. Opening the power-sliding doors or liftgate reveals perforated-leather seats, 3-zone automatic climate control, and Chrysler’s upgraded Uconnect infotainment system with a 8.4-inch touchscreen and available navigation. The Pacifica Hybrid Platinum is priced at $44,995 before destination charges and tax credits. In addition to all features from the Premium trim, the Platinum comes with hands-free power-sliding doors and liftgate, extra chrome trim, and upgraded 18-inch wheels. The interior gets heated and cooled seats with front-passenger lumbar support, more soft-touch materials, a 115-volt power outlet, and a 13-speaker Alpine sound system. Rear passengers receive seatback video screens and an additional USB charging port. Neither of the Pacifica Hybrid’s well-equipped trims offers many customization add-ons. The Premium trim has no options or packages other than a few dealer-installed items like splash guards, while the Platinum offers an available triple-pane sunroof. Active-safety technology for the Pacifica Hybrid includes blind-spot monitoring, rear cross-traffic alert, and rear park assist with an automatic-stop function. The Platinum trim adds adaptive cruise control with stop-and-go technology, advanced brake assist, a 360-degree camera, and front park assist. All Pacifica Hybrids are covered by a 3-year/36,000-mile unlimited warranty. The powertrain is warrantied for 5 years or 60,000 miles, while the battery gets a 10-year/150,000-mile warranty. 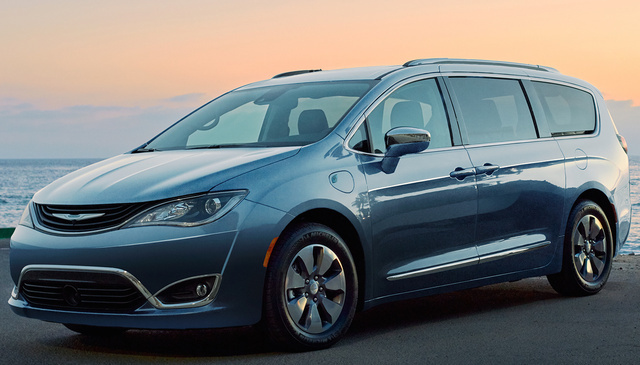 What's your take on the 2017 Chrysler Pacifica Hybrid? Have you driven a 2017 Chrysler Pacifica Hybrid?